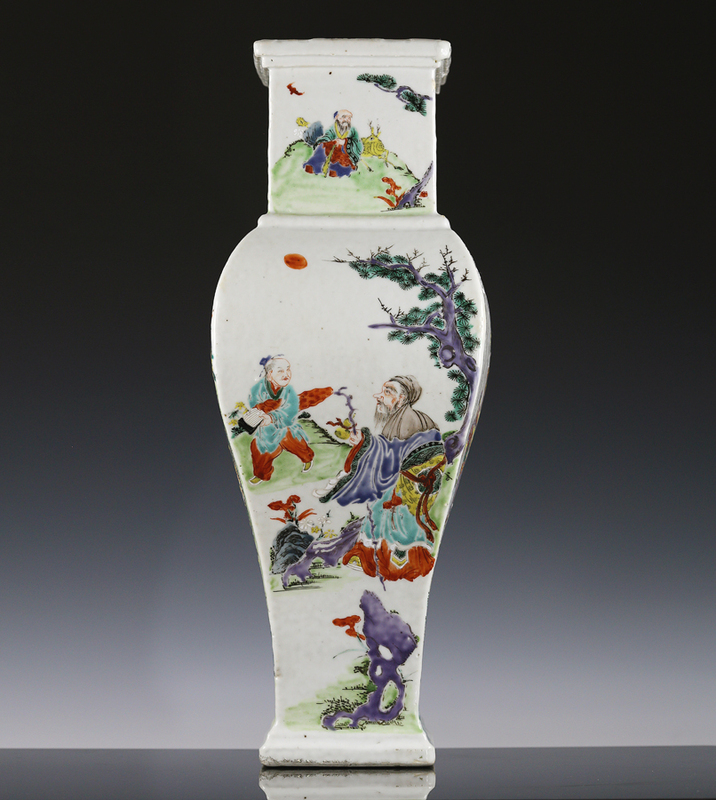 An unusual and extremely rare Yongzheng period famille rose square baluster vase, with the main panel featuring an elephant with heavily folded skin being swept or washed by a boy with a broom while a Buddhist monk and general looks on. 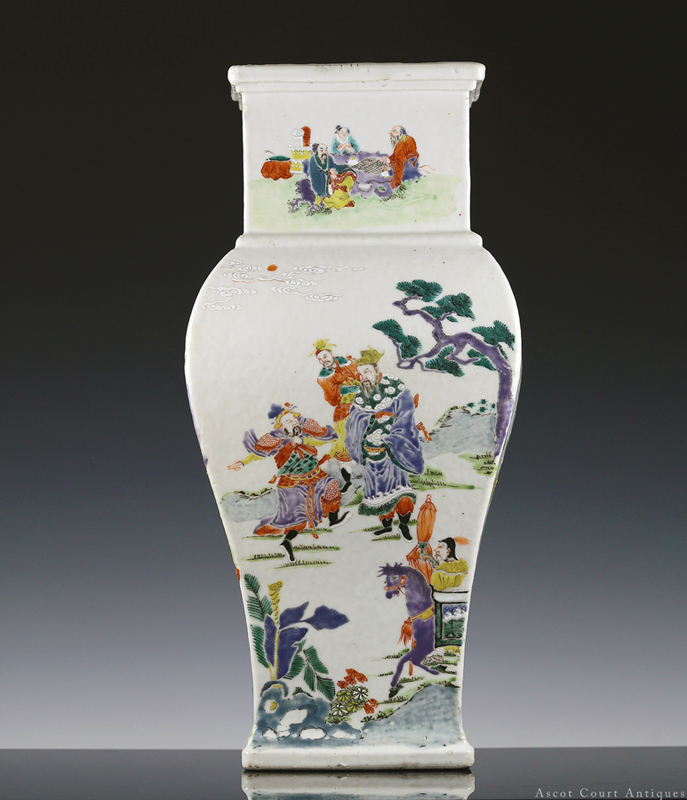 The four-sided vase is of a heavy hand-built slab construction, and is enamel-decorated throughout with various figural scenes featuring sages, officials, dignitaries, and scholars. 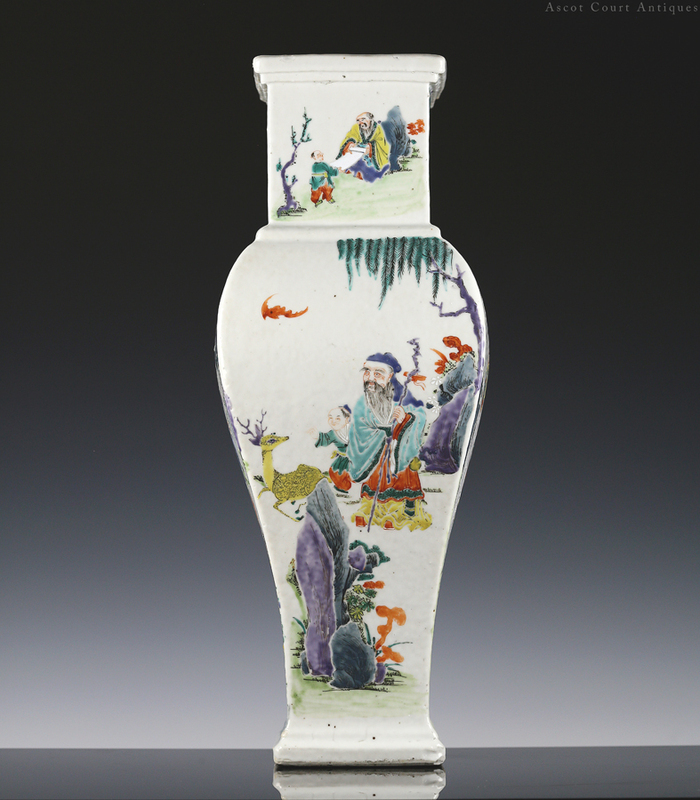 The painting workmanship is extremely fine: individual hairs on the boys and general can be discerned, while the monk’s patchwork robe features blocks of different colored enamels. 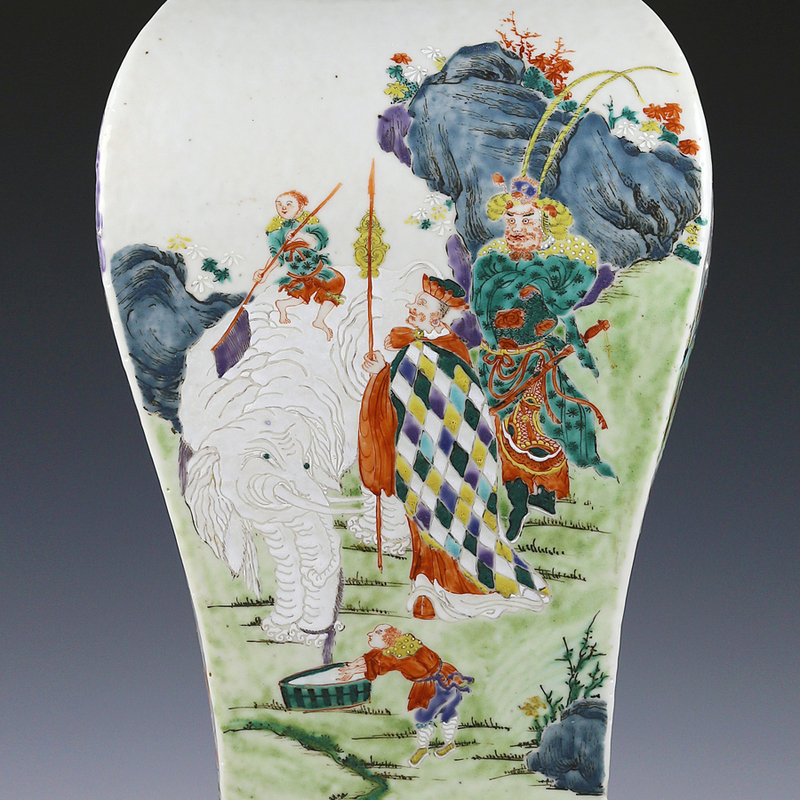 The scene with the elephant is a recognizable theme in Chinese Buddhist art. entitled 扫象图 (saoxiang – quite literally, ‘sweeping the elephant’), the image plays on a clever homonym to illustrate the Buddhist concept of “everything is illusory”. The Chinese character for elephant, 象 (xiang), is pronounced similarly as the word for ‘illusions’ or ‘forms’, 相 (also xiang). And thus to sweep away the elephant conveys the same meaning as a washing away of worldly illusions. 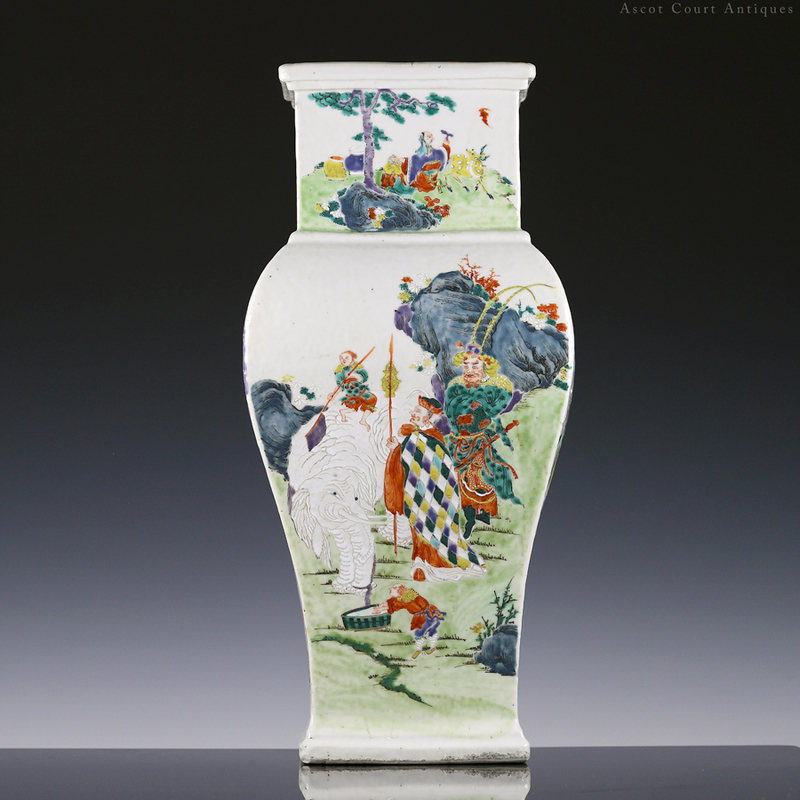 The white elephant itself is also considered sacred in Buddhist mythology. According to tradition, the Buddha takes the form of a white elephant when reborn for the last time on Earth. The bodhisattva Samantabhadra is also frequently depicted riding the white elephant. The origins of the ‘Washing the Elephant’ image is unclear, though surviving records of ancient Chinese paintings make mention of paintings with this exact theme being painted as early as the Tang dynasty (refer to Record of Clouds and Mist Passing Before One’s Eyes (Yunyan guoyan lu) by Zhou Mi, c. 1232-1309). 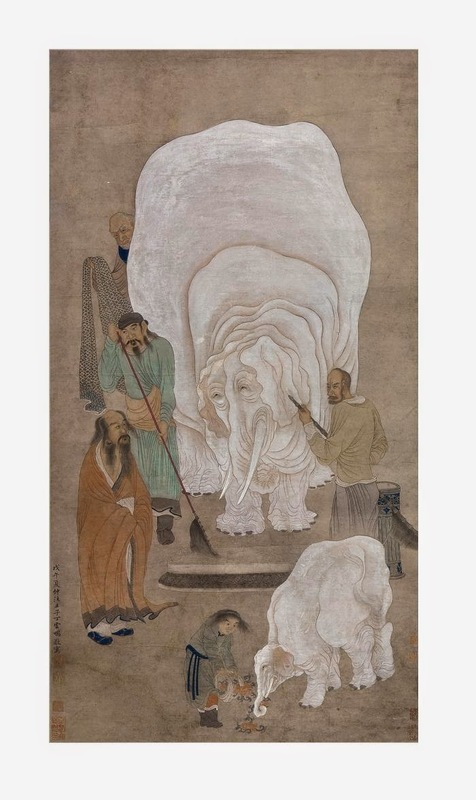 Several surviving paintings from the mid – late Ming dynasty feature this theme: Ding Yunpeng’s ‘Washing the Elephant, dated 1588, and in the Taipei Palace Museum; and Chen Zi’s “Washing the Elephant”, dated to the 17th century and in the Metropolitan Museum of Art. 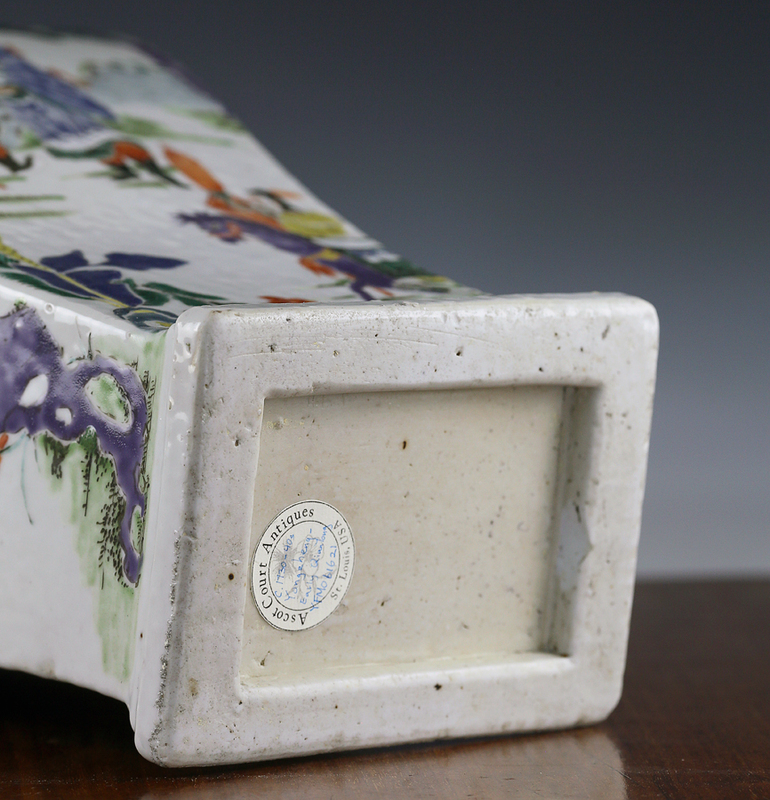 Jingdezhen porcelain painted with “washing the elephant” are rare, and most date to the 17th century. 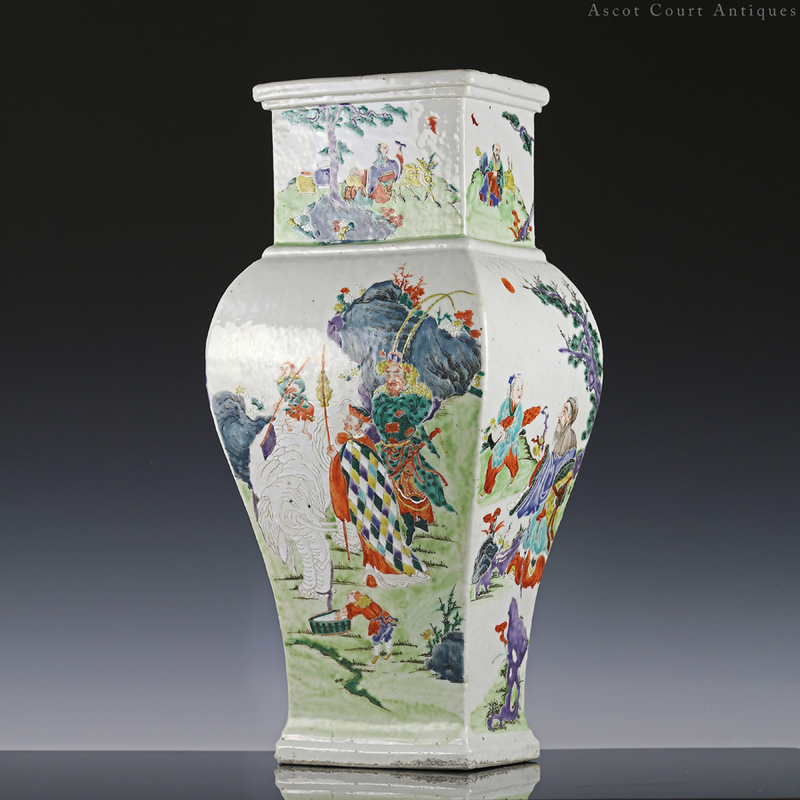 An early Kangxi version recently auctioned at Christie’s New York, while a Transitional Period version is in the collection of the Asian Civilisations Museum. However, a famille rose rendition of this theme appears to have been heretofore unrecorded.